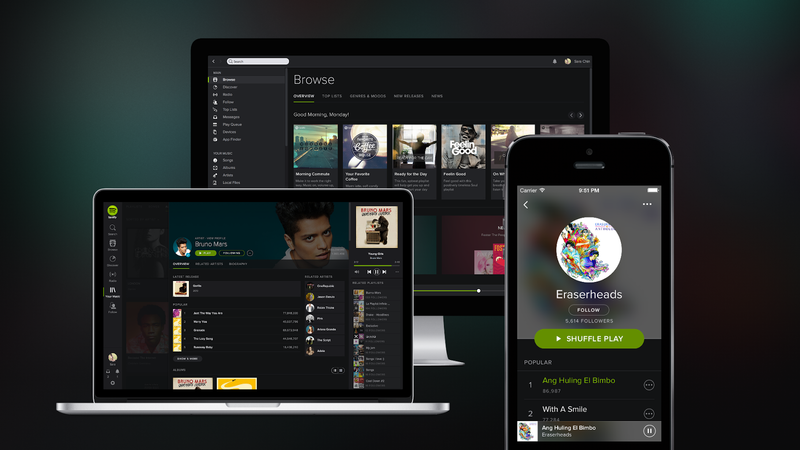 Spotify hits 40-million users with 10-million paying subscribers across 56 markets globally. The world’s most popular music streaming service also recorded 10 million paying subscribers, and since its launch in 2008, users have created over 1.5 billion playlists, collectively creating or updating over 5 million playlists each day. Rapper Eminem is the most streamed male artist of all time, followed by David Guetta. In the female category, Rihanna tops the list as most streamed female artist with Katy Perry next in line. Avicii’s Wake Me Up is the most streamed song of all time with more than 235 million streams, while David Guetta is the most followed artist with more than 5 million followers. In the past month, Top 100 Pop Tracks on Spotify was the most streamed playlist, while Clean Bandit’s “Rather Be feat. Jess Glynne” was the most played song in offline mode. Spotify offers the best free music experience in the history of the smartphone, giving users access to over 30 million of songs with amazing audio quality of up to 320kbps and other features such as playlist creation, music discovery, organization tools, and offline mode. In the Philippines, music-loving Filipinos can enjoy free access to Spotify, which also offers the most extensive OPM songs, by subscribing to GoSURF, Globe Telecom’s mobile internet plan that offers megabytes (MB) of data consumable per kilobyte. The MBs in every GoSURF data plan are used to browse the Internet to surf, send and receive e-mails, update social networks, download games and apps, and more. Customers on GoSURF can enjoy free access to Spotify without worries as usage of the app will not consume allocated MBs for every GoSURF data plan. Prepaid subscribers can register to GoSURF10 for as low as P10 for 10MB of data plus access to Spotify for an entire day. Postpaid customers can subscribe to GoSURF299 for as low as P299 for 700MB of data plus access to Spotify Premium for 30 days. Tattoo Prepaid customers can avail of GoSURF50 for as low as P50 for 250MB of data plus access to Spotify for 3 days. Register by texting GoSURF to 8888 or dial *143# and choose GoSURF. To know more about GoSurf and Spotify, visit www.globe.com.ph/surf/plan/gosurf.